Ike the Network Guy: Cisco Live - Day Five, The End? Cisco Live 2013 is officially over. Break down time. 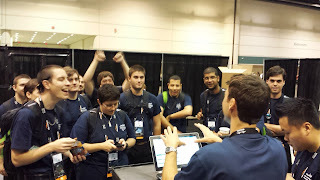 The fifth and final day of Cisco Live was a frenzy of activity. We kicked off the day by breaking down any areas of the conference that weren't in use and started packing everything away in storage. From there all the equipment moves on to the next Cisco Live or elsewhere. The conference is so large that just getting anywhere takes a great deal of walking. I think by the end of today I must have walked or ran close to 16 miles. For the closing keynote Cisco had Sir Richard Branson as a guest speaker. We all got a short break (calm before the storm) to go hear him speak. It was actually quite fascinating to hear exactly what makes this man tick. He is truly one of the world's most interesting men. At the exact moment the keynote ended is when things got frenetic. We were broken off into teams and then given assigned floors. 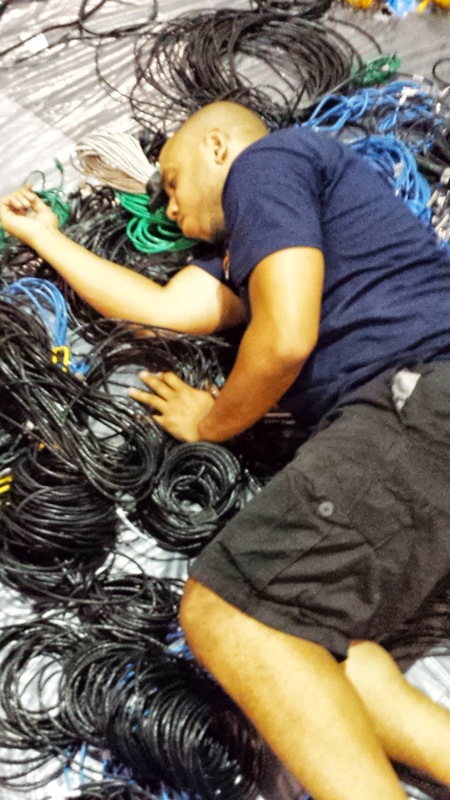 From there we were to basically go through the entire conference center and break down all switches, access point, antennae, and VoIP phones through out the entire complex! It was quite a learning experience in Layer 1 due to the fact that I got to see how the entire conference was laid out. This breakdown went well into the night and by the time we were finally done. I was completely exhausted. I don't mean simply tired, I had nothing left. We have been doing so much every day on very little sleep that every day I was operating on less and less sleep hours. By this fifth and final day I was running on 4 hours of sleep and pure caffeine. (I am not exaggerating To give you a good idea of how big the conference is, I believe it is nearly 1 1/2 to 2 miles across. So going from floor to floor with nearly hundreds of rooms is a huge undertaking. It was a fitting ending, really getting to see the scope of things. Getting to see just how huge of a deal Cisco Live is, was a real eye opener. OK so that's it. That's what I did in Florida. This has been one of the greatest experiences of my life. Getting to do this means so much to me. I've learned so much and gotten to do so many things in just a week. My team are great people and in that week I've gotten to be good friends with them. Our team leader Patrick Gargano was seriously one of the best people I've worked with. I'm gonna miss them and hope our paths cross again. Alright, I'm going to go pass out now. Thanks for following along, on what is surely one of my life's most epic experiences. 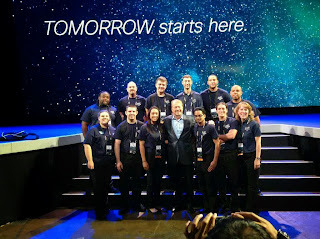 p.s.- I would sincerely like to thank all my IT professors ( +Layne Davis , +Brian Kirsch , +Anthony Stanislawski ) at Milwaukee Area Technical College for their nominations, recommendations, and guidance in getting me to Cisco Live. I'll never forget it.